Looking for an interesting, out-of-thee-ordinary vacation destination? 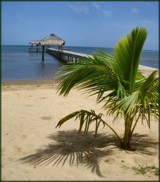 Roatan, the biggest of the three Bay Islands of Honduras(the other two being Guanaja and Utila), is just the place for you. What can one typically expect to experience? In the scuba diving world Roatan is famous, almost legendary, offering one of the biggest barrier reef systems in the world to explore. For the average scuba diver, this in itself, is more than enough reason to visit. Thousands of scuba divers travel to the island annually for this experience alone. Should one, however, choose to take some time away from diving to experience other aspects of the island, there is much to be seen. From interacting with iguanas atArch’s Iguana and Marine Park, to visiting Carambola Gardens in order to experience the exquisite floral variety and beauty of the island, to a walk through the butterfly enclosures at the Butterfly Garden, there is indeed a whole world to experience on this tiny island. Many of the main attractions are to be found along the main road that runs from the East to the West End of the island.